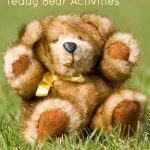 I’ve enjoyed publishing posts with introductory biology activities for preschoolers and early elementary-age children. I published a roundup of living and non-living activities. I have a sorting activity with plants and animals. In my roundup post of land, air, and water sorting, you’ll find some activities for sorting land, air, and water animals. I also have posts on animal life cycles and animals of each continent. Today, I’ll share some resources for helping children understand the differences between vertebrates and invertebrates and classes of vertebrates. Montessori Compass and Montessori Foundation have a free online Montessori scope and sequence which includes vertebrates and invertebrates and classification of vertebrates. 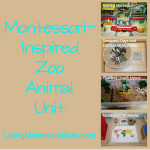 Moteaco has a free online Montessori album with science lessons about animals. Montessori at Home has a zoology and taxonomy post that includes vertebrates and invertebrates and classes of vertebrates. The Helpful Garden has free vertebrate and invertebrate sorting with 11 cards in each of the categories. 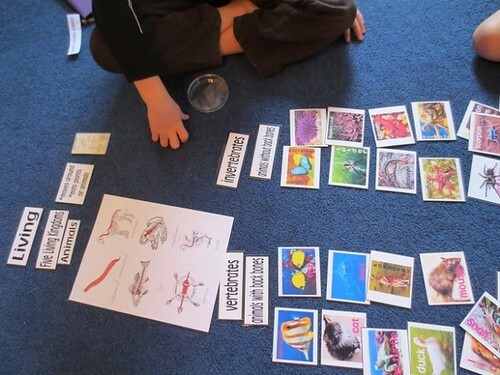 Homemade Montessori has free vertebrate and invertebrate cards. 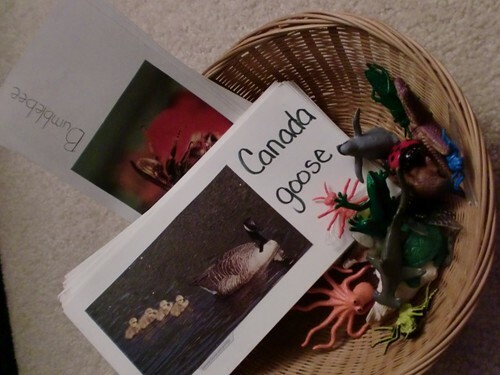 Montessori for Learning has free vertebrate and invertebrate sorting cards. Montessori Print Shop has vertebrate and invertebrate sorting available inexpensively with 12 vertebrates and 12 invertebrates (included in the bundle linked to below). Montessori for Everyone has vertebrate and invertebrate sorting available for purchase. Montessori Services has vertebrate/invertebrate classification cards that are already printed and laminated or unlaminated. Loving2Learn has a free vertebrates chart. The Homeschool Den has lessons on vertebrate and invertebrate. Nurturing Learning has a lesson on vertebrates and invertebrates. Carrots Are Orange has a lesson on vertebrates and invertebrates. 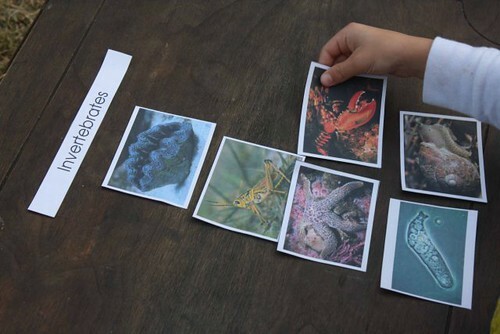 Montessori Album has a free online lesson for vertebrate/invertebrate sorting. Moteaco has a free online album with animal classification for 6-9. It’s easiest for children to understand the classes of vertebrates before invertebrates. Here are a number of resources for the five classes of vertebrates. The Helpful Garden has free classes of vertebrates cards and booklet . Guest Hollow has free vertebrate and invertebrate picture cards. Just Montessori has a classes of vertebrates lesson. Montessori for Everyone has free introductory animal research cards. Montessori Print Shop has inexpensive vertebrate quiz cards or a zoology bundle with vertebrate and invertebrate sorting, vertebrate quiz cards, and 8 animals in each class of vertebrates. The Pinay Homeschooler has a lesson on the animal kingdom with materials available for purchase. 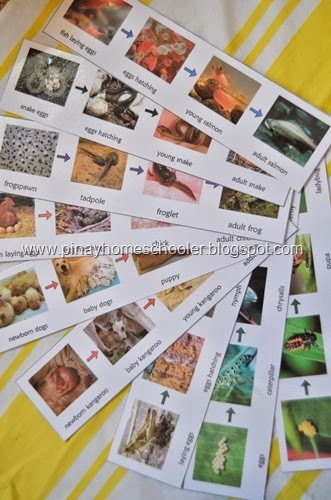 The Pinay Homeschooler has free life cycle cards for each class of vertebrates plus vertebrate cards available for purchase. Montessori for Everyone has characteristics of vertebrates cards available for purchase. Montessori Services has a number of vertebrate materials available for purchase that are already printed and often laminated. 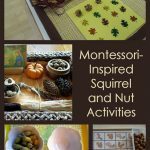 Montessori Album has a free online lesson for 5 classes of vertebrate sorting. The Homeschool Den has free forest animal sort cards with classes of vertebrates. 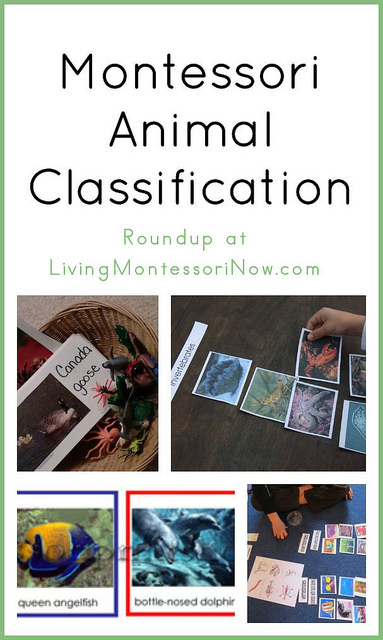 The Homeschool Den has a lesson on classifying animals. 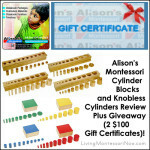 Don’t miss my FABULOUS giveaway: 2 $100 Alison’s Montessori Gift Certificates Plus Geometric Solids and Nomenclature Cards! US. Ends 5/15, 9pm PST. We’re going to be doing a lot of science this summer ….. this is a great way to get started! A great resource for teachers! Thanks for sharing at After School! Great list of resources to learn about vertebrates and invertebrates. This is my first visit here and it looks useful. I just finished my Montessori Directress course n now got the call for Demonstration on Animal Kingdom. I am bit confuse as it will be my First Demo . I will appreciate if some one help me out.